Our customer's gourmet favorites are all assembled in one cheerful basket...olive oil gourmet crackers, artichoke pesto (with recipe for a baked artichoke dip), cheese, Morea olives, Virginia jumbo salted peanuts, wine biscuits, decadent gourmet cookies and award winning chocolate truffles. An elegant combination of sweet and salty that is suitable for almost any occasion. 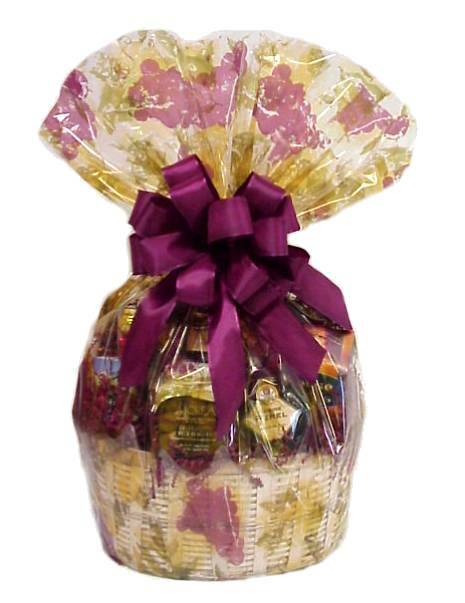 Wrap on this package is selected for the occasion, so it may be different than what is shown.